Making sure that my children have a variety of healthy snacks is important, trail mix is the perfect snack that is both healthy and portable, perfect for a day at the beach or an afternoon at the park. The Fisher trail mix is the perfect on-the-go snack for a busy summer. The new packaging makes it easy to keep on hand for any time of day – keep some in your purse, gym bag or at the office. Summit Trail Mix: Here’s an energy-packed snack that will keep you satisfied over even the roughest trails. Raisins, peanuts, cashews and milk chocolate candy can help give the boost you need to go that extra mile. Energy Trail Mix: Look no further for a source of natural energy! Mixed dried cranberries, almonds and cashews together and created a delicious and powerful blend to help you through your day. Tropical Trail Mix: Enjoy a sweet taste of the islands with this delicious mix! Sweet mango, almonds, cashews, pineapple and banana chips make this mix a tropical delight! Sweet Nut Trail Mix: Bring some sweetness into your life with this popular mix! Honey roasted peanuts, raisins, frosted walnuts, cashews and cranberries all come together to create the perfect blend of rich, nutty goodness! Cheddar Trail Mix: When savory meets sweet, your taste buds win. Sugar-glazed peanuts, corn sticks, pretzels and peanuts for a winning flavor combo you won’t be able to say no to. Each flavor was delicious and not a single crumb went without being eaten. I loved that the packages could be re-sealed - they were the perfect snack to take boating. Choosing a favorite Fisher trail mix has proven to be rather difficult... I loved the sweet nut and my kids loved the cheddar. This giveaway will end August 29th at Midnight EST. Disclaimer: I received complimentary trail mix from Fisher Nuts for the purpose of writing a review and hosting a giveaway. Regardless, I only recommend products or services I use personally and/or believe will be a good fit for my readers. The views and opinions expressed on this blog are purely my own. Results may vary. No monetary compensation was received. I want to try the energy trail mix. I entered wholly guac. I'd like to try the Summit Mix. The energy mix sounds good. I love cranberries. I would like to try mixed nuts. I would love to try their Cheddar Trail Mix! I think the Summit Trail Mix would be my favorite, but it's tough to decide because I think I would like all of the flavors very much! Sweet Nut Trail Mix sounds so tasty! I want to try the Sweet Nut Trail Mix. Sweet Nut Trail Mix looks so tasty and sweet! I'd love to try their Sweet Nut Trail Mix! I like the Tropical Trail Mix. Thanks for the good giveaway! The Energy Trail Mix is what i'm most excited about trying! Sweet nut mix sounds great! I'd like to try the tropical trail mix. I'd like the Sweet Nut Trail Mix. The Sweet Nut Trail Mix. 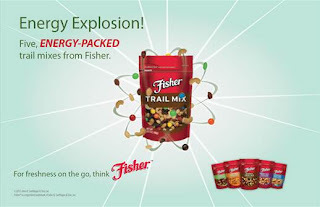 I would love to try the Energy Trail Mix, though they all sound delicious! Cool! I can't wait to get them!!! Thanks!! !